Coming with hole on lid for adding water, this silicone ice ball mold is used to make ice balls for whiskey, cocktails, and other beverages. 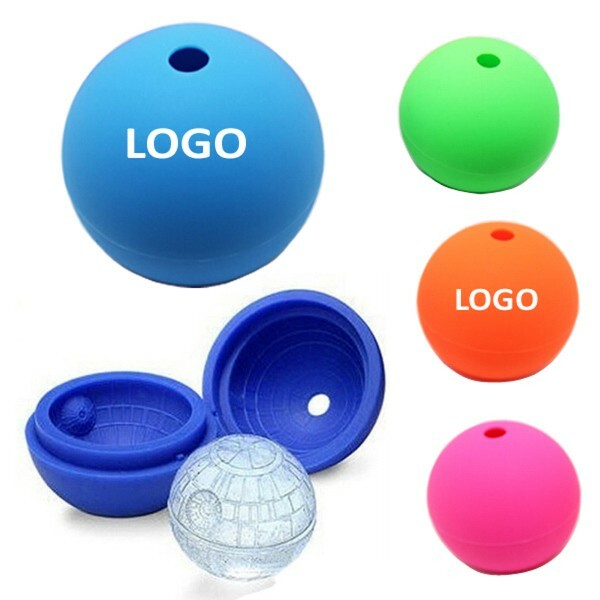 Made of food safe and BPA free silicone, water can be mixed by fruit juice and then frozen into a ball shape. It helps you keep your drink cold for a long time. Lead time may be 8 weeks when quantity exceeds 2,500 PCs. Ice cube diameter 2 2/5". Volume 3 1/3 oz water without over flow when freezing.